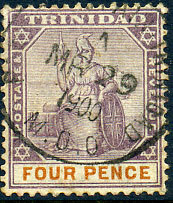 Money Order Office dated JY 8 1882 on 1882 ½d lilac REVERSED CA wmk (SG.100, Cat.£75), fine used. AP 13 99 on QV 3d (SG.101). 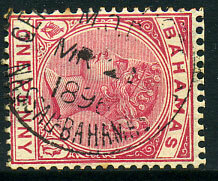 (R21) GPO/NO 18 21 (Proud ERD) on horiz. 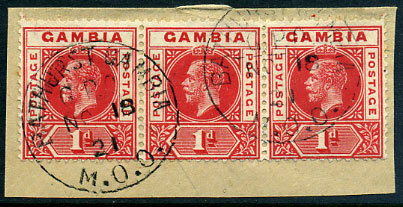 strip of three KGV 1d (SG.87b/109) piece. Money Order Office dated DE 27 89 on 1/- (SG.53a), central background stain. (Proud R32) A/MR 29 1900 on 4d (SG.118, Cat.£22). 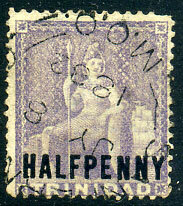 (R5) JU 6 1882 on REVERSED Crown CC wmk ½d lilac (SG.98x). 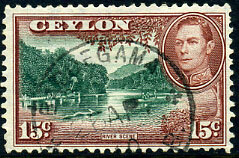 Money Order Office dated 18 JU 14 (ERD) on KGV 1d (SG.87), one toned perf. (K20) Money Order Office dated C/SP 11 93 on re-united split perfs horiz. 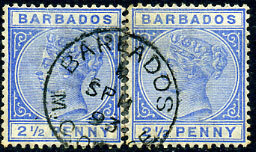 pair QV 2½d (SG.93). Money Order Office dated MR 31 1897 on 5d (SG.119). 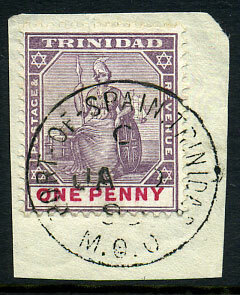 Money Order Department cds dated MR 21 1896 on QV 1d (SG.48), some toned perfs. FE 28 1880 on horiz. 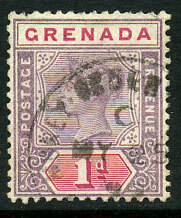 strip of three SIDEWAYS Crown CC ½d mauve (SG.99a). Rare multiple. (Proud R31) C/JA 9 99 on 1d (SG.115).